Shrimp Kabobs may look like an extravagant meal for Lent. 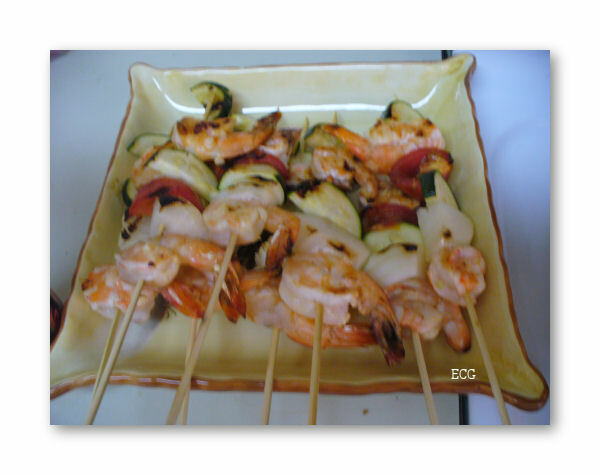 But if you buy shrimp when it is on sale, you can prepare a decent meal at a very affordable price. Soak bamboo skewers in water while you prepare the shrimp and vegetables. 1 basket of cherry or grape tomatoes (or cut a large ripe tomato into chunks. But this will be messy on the grill). Juice of one lemon or lime, 3 garlic cloves large, minced, 1/4 to a 1/2 cup of extra virgin olive oil, sea salt and freshly ground pepper (to taste). 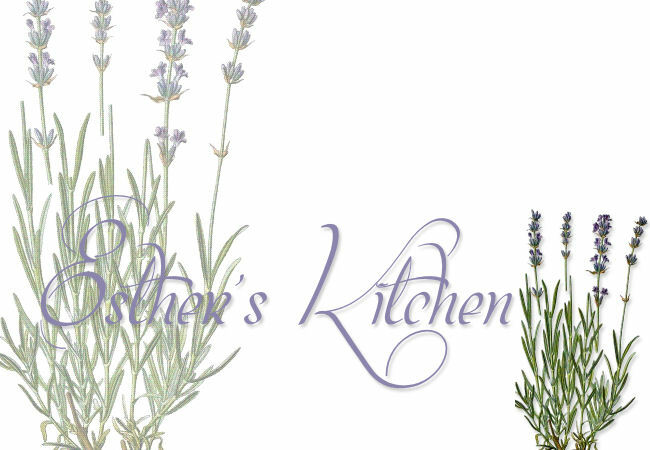 You can add minced fresh herbs to the marinate such as tarragon, chives, etc. 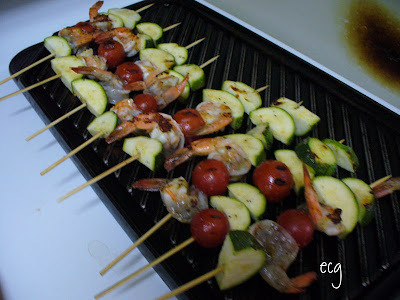 Alternate the shrimp and vegetables on the prepared skewers and set aside. Heat up your grill. I use the stove top cast iron grill we bought a long time ago from Williams Sonoma for grilling when I need to grill and the other side for making pancakes. It is very versatile. Brush the grooved-sided grill with olive oil. 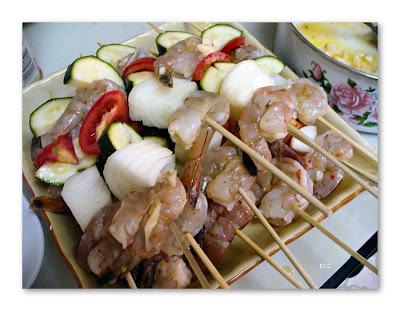 Place the kabobs on the grill and cook on medium high until the shrimp pink. 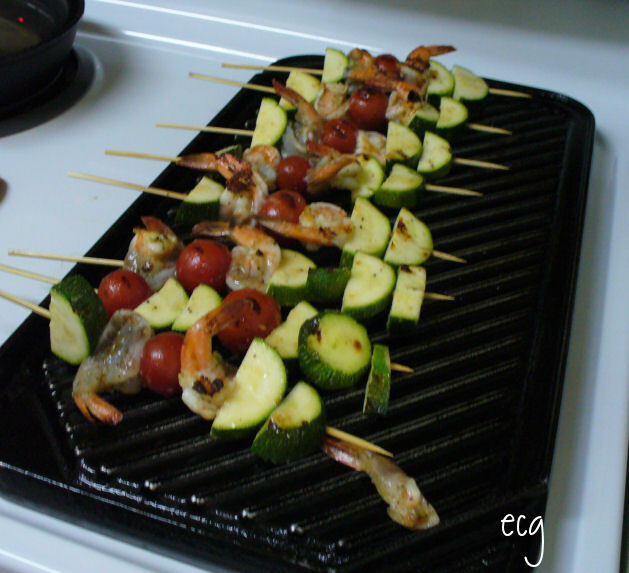 The tomatoes and zucchini will have the grill marks on it. Turn once to finish cooking the other side and remove from grill. Serves 4. 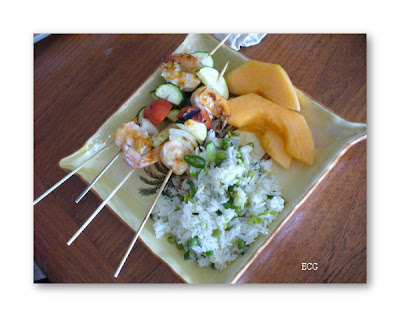 I served the first version with fried rice with peas and green onions. Recipe will be posted later and fresh sliced cantaloupe melon.